As we offer a great deal of high resolution professional photos on our blog, we are also aware that some people are not using these pictures for mere web design purposes, but print them to add original and unique decor to their homes or offices. 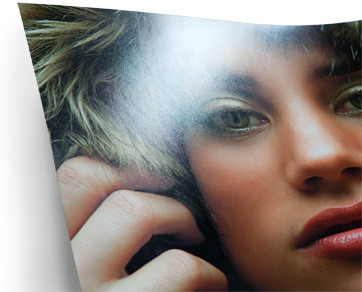 We have been contacted several times and asked if we can recommend a high quality printing services that offer giclee prints at affordable prices. So we have done a little researched and compared the prices of all the local provides, searching for the perfect balance between price and quality. Eventually, we decided to make a whole new post about it, which is something we don’t normally do, only because we have ordered prints ourselves from point101.com recently and were so impressed with the professional service and the end result, that we couldn’t keep it a secret… We printed one of the photos we offer on sale here on PSwish.com, and it arrived printed at 1440 dpi, using an 8-colour pigment ink system, on a Hahnemuhle (Baryta – 320 gsm) paper. This was not a surprise since at the checkout we could customize every aspect of our order, but we didn’t expect such a perfect color match to reality, such a fast processing and shipping. Starting from only £6 inc. delivery in mere 1-3 working days. For a small additional fee the shipping can be expedited within 48 hours. I would say that if you have your own photos waiting to be printed, ranging from ordinary family pictures, to professional photographer’s exhibition, giclee prints offered at point101.com will not fail your expectations. Do be aware of the size limit, however. The maximum number of megapixels that they can accept within a single file is 200 (which is roughly a 14,000 x 14,000 px photo). Nonetheless, it should be more than sufficient for the vast majority of online customers and photographers. We hope you found this post to be helpful and please don’t hesitate to contact us if you have any questions or head directly to Print101 for more details. You can also call them at +44 (0)20 7241 1113 with any questions you have.